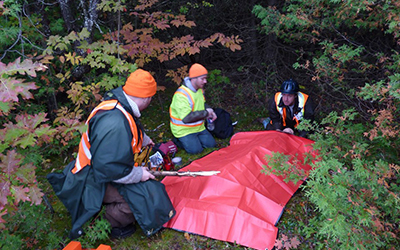 A Ground Search and Rescue (GSAR) Volunteer is an individual who gives of his or her time and resourece to become part of a SAR team of other like-minded persons of varying backgrounds to assist and support police agencies in finding a missing or lost person(s). They share many years of cumulative knowledge and skills. Furthermore they each bring with them a commitment to train, learn, teach and support the efforts of their team, and as a group become a true asset to the police agencies they support and to the residents of their province. All OSARVA members are trained to the OPP Basic Searcher Level in order to become operational and must recertify annually. OSARVA Trainers are trained by the O.P.P. and are re-evaluated each year. In addition to Basic Searcher training OSARVA teams train above and beyond these standards to learn and grow and to be ready to face challenges specific to their communities and geographic area (ie low/high angle rescue, urban vs rural vs wilderness). OSARVA has undertaken a project which resulted in the OSARVA Search Techniques Manual. 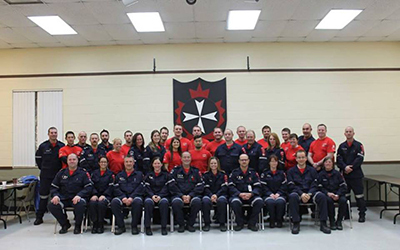 This project researched and evaluated Search Techniques and Best Practices from GSAR teams in Ontario, other Provinces/Territories and from published SAR Standards. 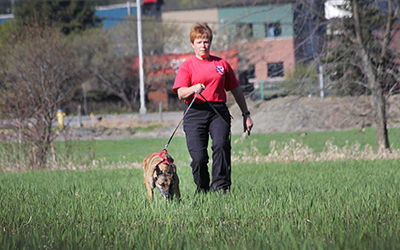 This manual shares those Best Practices and also includes recommendations for a series of field training exercises which are designed to improve search technique skills. 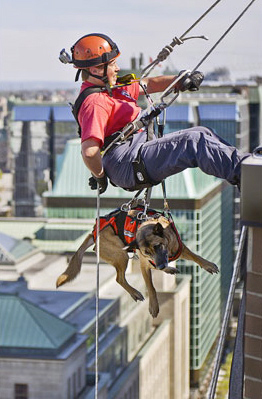 The project has drawn talent from across the Province by using OSARVA's existing network of qualified SAR Trainers to evaluate and develop the training aspects of this program. 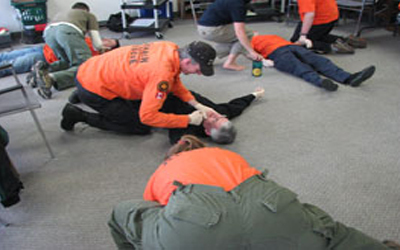 As SAR Trainers, we understand the need for ongoing training and development, and recognize that training must focus on the searcher's roles as effective team members and clue seekers. The Ontario Search and Rescue Volunteer Association and its member teams would like to acknowledge the finacial support of the Government of Canada for this project through the Search and Rescue New Initiatives Fund.